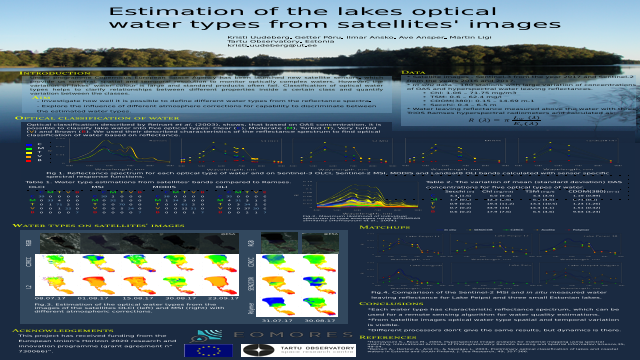 Remote sensing is a powerful tool for regular monitoring of lakes and coastal zone. Under programme Copernicus European Space Agency have been launched new satellite sensors, which provides us spectral, spatial and temporal resolution to monitor optically complex waters. However the variation of lakes' water colour is large and standard products often fail.